That's the top that Devil dyed over Easter break. I'm calling it Mermaid yarn, in an attempt to get her more excited about it, and I'm planning a mini-Tappan Zee, maybe with a fish scaley lace pattern to complement the yarn. 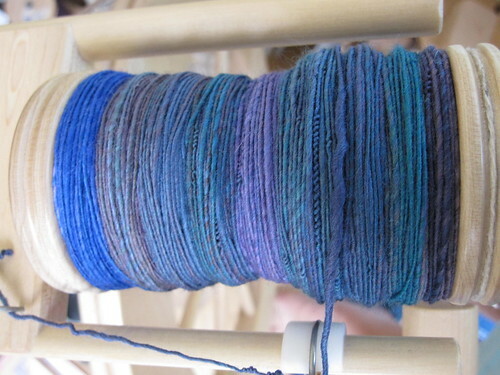 I've got four skeins finished, two more bobbins full, and 2.5 bobbins of 2-ply left. I can bang out a full bobbin of the cabled yarn in less then an evening, so I'm hoping to have it done by the middle of next week. 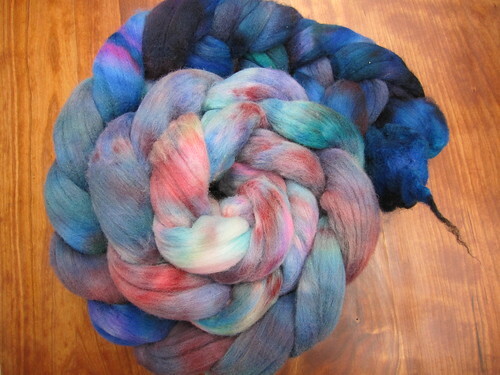 And maybe the Mermaid yarn will be done as well! 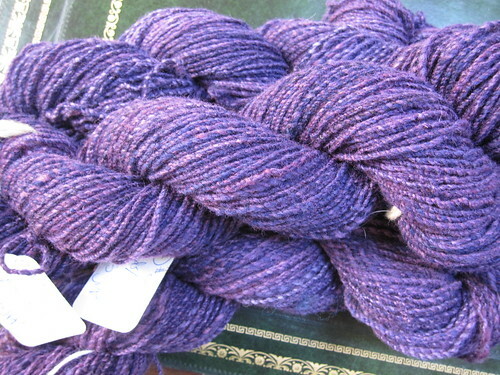 Written by porpoise On June 4, 2010 In "Devil", "Vine Yoke Cardigan", "dyeing", "spinning"